Directed by : Jean Negulesco. Starring: Hope Lange; Joan Crawford; Diane Baker; Suzy Parker; Louis Jourdan; Brian Aherne; Stephen Boyd. Girls beware! Handle this movie with care. Do you remember the Hawksian Woman and the accidental feminism I told you last week? Well, forget them! Unless you’ll watch it under the influence, you’ll hardly spot any trace of them in the 1959 melò The Best of Everything. I want to be clear, in this movie women seem quite independent, they all work, but ohi, ohi… what a disgrace if they try and have a career! Set design, clothes, pearl necklaces, hairstyles, characters and even events, almost everything in this movie can lead you to a déjà vu. Nothing strange if you are a fan of Mad Men, the multi-awarded TV period drama created by Mathhew Weiner and set in New York during the 1960’s whose final season will be aired in April. From March 14 till June 14 at the Museum of the Moving Image in New York it will be possible to visit the exhibition Matthew Weiner’s Mad Men. The Museum will also present An Evening with Matthew Weiner and will show a series of ten films – among them Billy Wilder’s The Apartment, Hitchock’s North by Northwest and of course The Best of Everything – that influenced Weiner. You can discover the ten films clicking HERE . Back to our movie, in The Best of Everything, based on the Rona Jaffe‘s 1958 novel with the same title and directed by Jean Negulesco, the centre stage is taken by a group of four women – the Accidental-ambitious, the Little Ingénue, the Mad, the Miss who missed the boat (plus one, the divorcee with a child) – working in the fictitious New York based Fabian publishing company, but to be true the general impression is that they are simplyt parked there waiting for their destiny, aka marriage their “real” destiny, to come true. 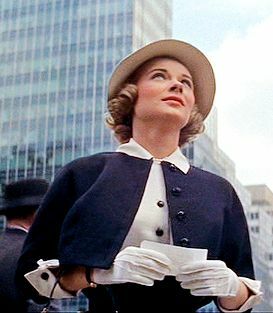 The Accidental-ambitious, the real protagonist played by the blonde Hope Lange, is Caroline Bender a young college graduate, unofficially engaged to a guy who’s gone to London for a year. 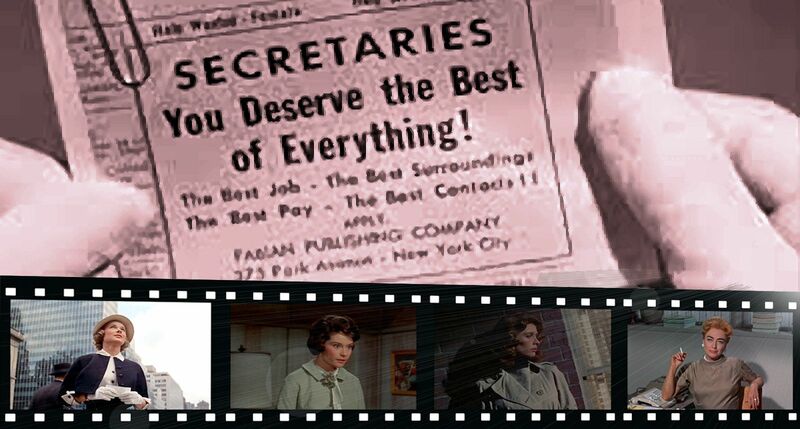 She starts as the secretary of a woman editor, though her true ambition would be a nice marriage, and ends like a woman editor herself. In the meanwhile: she leaves her parents home to live with two colleagues, is ditched by her unofficial fiancé – who married someone else – with a phone call, decides to throw herself into her job and is a real success, Mike Rice (Stephen Boyd) – a senior editor – who poses as her beau hints that this way she forgets how to be a real woman, the slimy ex-unofficial-fiancé returns and proposes her to be his mistress (cause she’s his true love)… then in the end (after other crucial events, to be true) she understands (spontaneously! and that’s why she’s such a wise girl…) that after all her career ain’t so important. The Little Ingénue, played by the sweet brunette Diane Baker, is called April Morrison and is a small town girl who lives with the Accidental-ambitious. She starts as a secretary and ends the same way. She seems Little Red Riding Hood and all the Big Bad Wolves like her very much. She mistakes one of them for her true love, gets pregnant (how strange…) and when instead of a shotgun wedding the slimy-wolf rudely offers her a nice abortion she has an accident that kills the child but provides her a new dignified fiancé, a doctor (who knows everything and “forgives” her, oh poor unfortunate ex-pure girl…). The Mad, played by the red-headed top-model Suzy Parker (the first who earned 100,000$ a year and the only one who had a Beatles’ song named after her – You can listen to it HERE), is called Gregg Adams and lives with the Accidental-ambitious and the Little Ingénue. She is a secretary but she wants to be an actress so she pretends to be ill to go to the auditions she never wins. One day, after a party, she meets the charming director who rejected her (the recently departed Louis Jourdan, in a role vaguely reminding to his role in Letter from an unknown woman), he tries his luck, she says yes, finally gets a part but fatally falls in love, then he gets sick and jilts her, she gets mad and stalks him, and in the end she takes a step in the wrong direction (literally) and… bye bye Gregg. 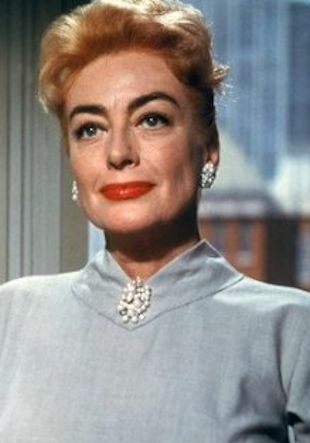 The Miss who missed the boat, played by the unusually strawberry-blonde Joan Crawford in her first supporting role (and, according to co-star Diane Baker, quite depressed because of the death of her fourth and last husband Al Steel, the PepsiCo President), is called Amanda Farrow. She is an editor, the boss (at least when all begins) of the previous three, and acts like Miranda in The Devil Wears Prada. She devoted her life to her job and now she is too old to be a wife but mature enough to be a mistress. The young Accidenatl-ambitious scares her so much that she tries to retreat accepting the proposal made by an old flame, a now-widower with children, but then she changes her mind and goes back to work tail between her legs and showing a gentler face. The moral of the story: dear girls, to be independent is a nice thing, but to be married is better! Don’t let your pretty little brains work too much, don’t cultivate your silly dreams or in the end you’ll lose your head and you’ll never get what really counts in life. Beware, you risk to miss the boat! OK, maybe you’re smart, you make your job better than any man you know, but hey! can you compare it with a full-time wife position? Don’t be silly, you won’t find the love of your life at work, that territory is infested with Big Bad Wolves, you’d better stay at home cause this is just a movie, in real life you won’t find a dignified doctor to save you once stained… and it must be clear that if you are already married you have to try and remain married. Don’t be fussy, after a divorce nobody will respect you anymore. What could I add? 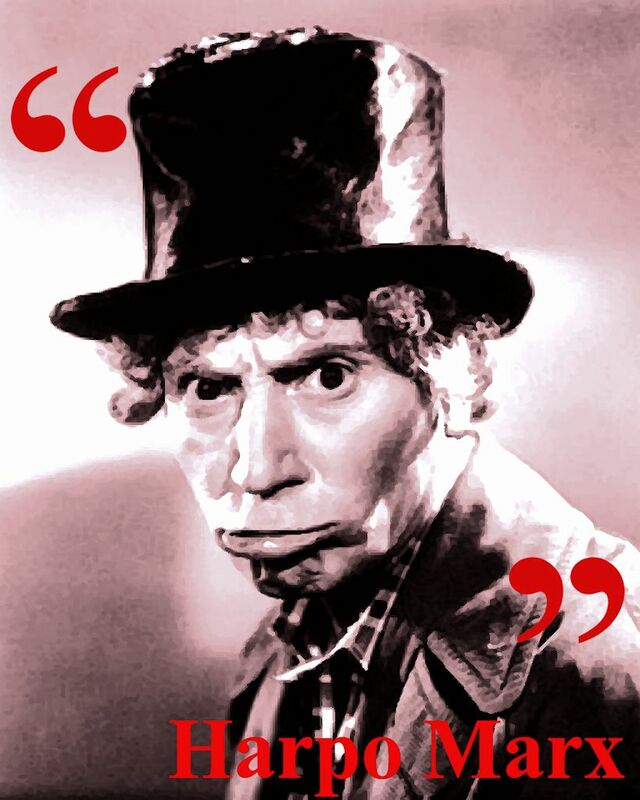 If you has a weakness for melodramas you’ll surely like The Best of Everything. I must admit I liked it too, after all when you watch a film like this one showing how complicated it could be to be a woman in the glamorous fifties in the end you really, really, really,really, really appreciate the feminist movement. Ladies in Love – USA 1936 Directed by: Edward H. Griffith. Starring: Constance Bennett; Janet Gaynor; Loretta Young; Don Ameche; Tyrone Power; Paul Lukas. Letter from an unknown woman – USA 1948 Directed by: Max Ophuls- Starring: Joan Fontaine; Louis Jourdan. How to Marry a Millionaire – USA 1953 Directed by: Jean Negulesco. Starring: Lauren Bacall; Marilyn Monroe; Betty Grable. The Apartment – USA 1960 Directed by: Billy Wilder. Starring: Jack Lemmon; Shirley MacLaine; Fred MacMurray. Valley of the Dolls – USA 1967 Directed by: Mark Robson. 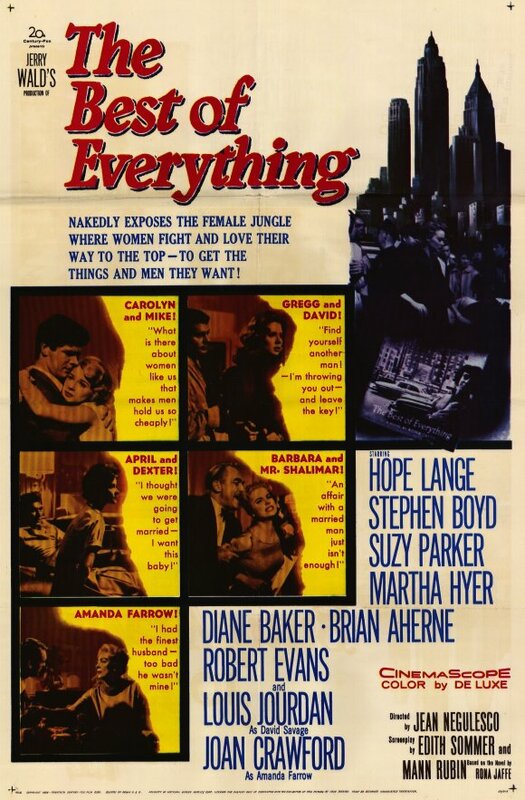 Starring: Barbara Parkins; Patty Duke; Sharon Tate; Susan Hayward. The Devil Wears Prada – USA 2006 Directed by: David Frankel. Starring: Anne Hataway; Meryl Streep; Emily Blunt; Stanley Tucci; Simon Baker. …and a TV series: Mad Men – USA 2007-2015 Created by: Matthew Weiner. Starring: John Ham; Elizabeth Moss; Vincent Kartheiser; Christina Hendricks; January Jones; John Slattery…. Attente ragazze! Maneggiate questo film con cura. Avete presente le Donne Hawksiane e il femminismo per caso di cui vi ho parlato la scorsa settimana? Dimenticateveli, perché a meno che non siate ubriachi o sotto l’influsso di qualche sostanza allucinogena sarà davvero difficile trovarne qualche traccia in Donne in cerca d’amore il melò del 1959 di cui vi parlerò questa settimana. Sia ben chiaro, le donne qui sembrano indipendenti e lavorano proprio tutte, ma ohi, ohi…che disgrazia quando pensano di far carriera! Scene, costumi, fili di perle, acconciature, personaggi e persino alcune situazioni di questo film potrebbero causarvi una sensazione di déjà vu. Niente di più naturale se vi siete appassionati a Mad Men, la pluripremiata serie TV ambientata nella New York degli anni ’60 creata da Matthew Weiner. Dal 14 Marzo al 14 Giugno, in contemporanea con la messa in onda (in America) della stagione finale della serie al Museum of the Moving Image di New York si può visitare la mostra Matthew Weiner’s Mad Men. Il museo presenterà anche An Evening with Matthew Weiner ed una rassegna cinematografica nel corso della quale saranno proiettati i dieci film – tra gli altri L’appartamento di Wilder, Intrigo Internazionale di Hitchcock e proprio Donne in cerca d’amore – che hanno influenzato l’autore. Se siete curiosi di scoprirli tutti potete cliccare QUI. Tornando al film di questa settimana, in Donne in cerca d’amore (il titolo originale era The Best of Everything, ma per una volta quello italiano rende meglio l’idea), film tratto dall’omonimo romanzo di Rona Jaffe del 1958 e diretto da Jean Negulesco, al centro della storia c’è un gruppo di 4 donne – l’ambiziosa-per-caso, l’ingenua, la pazza, la fuori tempo massimo (più una, la divorziata con prole) – impiegate in una grande casa editrice di New York, la fittizia Fabian, ma l’impressione generale è che queste donne siano parcheggiate lì in attesa che il loro destino, il loro vero destino e cioè il matrimonio, si compia. L’Ambiziosa-per-caso, la protagonista interpretata dalla bionda Hope Lange, si chiama Caroline Bender ed è una giovane neo laureata, segretamente fidanzata con tizio partito per Londra. Inizia come segretaria di una redattrice, anche se vorrebbe solo un futuro da moglie, e finisce col diventare lei stessa una redattrice. Nel frattempo: va a vivere con due colleghe, viene mollata dal fidanzato ufficioso – che ha sposato un’altra – con una telefonata, si butta anima e corpo sul lavoro, ha successo, Mike Rice (Stephen Boyd) – il redattore capo – le fa la corte ma poi le dice che se continua così si dimenticherà di essere una vera donna, l’ex-fidanzato-verme ritorna e le propone di diventare la sua amante (perché è lei il suo vero amore!?! )… e poi alla fine (a dire il vero dopo altri eventi cruciali) lei capisce (spontaneamente! quanto è saggia) che dopo tutto la carriera non è poi così importante. L’Ingenua, interpretata dalla bruna Diane Baker, si chiama April Morrison, ed è la provinciale coinquilina dell’Ambiziosa-per-caso. Inizia come segretaria lo stesso giorno di Caroline e lì rimane. Come Cappuccetto Rosso piace tanto ai lupi, ne scambia uno per il vero amore, resta incinta (ma dai…) e quando al posto del matrimonio riparatore le viene offerto con malagrazia un bell’aborto ha un incidente che fa fuori il pargolo ma le procura un nuovo fidanzato medico e per bene (e sa tutto di lei e la “perdona”, oh sciagurata ex-illibata …). La Matta, interpretata dalla rossa top-model d’epoca Suzy Parker (la prima a guadagnare 100.000 $ all’anno e l’unica a cui i Beatles dedicarono una canzone – la potete ascoltare QUI), si chiama Gregg Adams, ed è l’altra coinquilina dell’Ambiziosa-per-caso e dell’Ingenua. Fa la segretaria ma vorrebbe fare l’attrice e si dà malata per andare ai provini che vanno sempre male. Poi un giorno conosce ad una festa il regista che la scartava (il recentemente scomparso Louis Jourdan, in un ruolo da verme che ricorda vagamente quello di Lettera da una sconosciuta), lui ci prova, lei ci sta, rimedia una scrittura ma si innamora, lui si stanca e la molla, lei dà i numeri e diventa una stalker… poi alla fine fa un passo falso (sul serio) e ci resta secca. La Fuori-tempo-massimo, interpretata dalla bionda fragola (e non è un modo di dire) Joan Crawford al suo primo ruolo da non protagonista (e come ha rivelato Diane Baker anche depressa perché rimasta da poco vedova dopo la morte del quarto e ultimo marito Al Steele, quello della Pepsi), si chiama Amanda Farrow. Fa la redattrice ed è il capo delle altre tre (almeno all’inizio) con le quali si comporta come la Miranda di Il Diavolo Veste Prada (anche se sarebbe più corretto dire il contrario). Ha dedicato la vita alla carriera e ora si ritrova nel mezzo del cammin della sua vita a far la parte dell’amante ché è troppo vecchia e la diritta via del matrimonio è ormai svanita. Spaventata dalla giovane Ambiziosa-per-caso tenta la ritirata accettando di sposare un vecchio corteggiatore ormai vedovo e con prole, ma poi ci ripensa e torna al lavoro con la coda tra le gambe e di umor assai più soave. Morale della favola: care ragazze, l’indipendenza è bella, ma il matrimonio assai di più! Non fate lavorare troppo le vostre belle testoline, non coltivate passioni assurde, che poi rischiate di perder la testa e anche le cose davvero importanti della vita. Certi treni quando partono non tornano più! OK, magari siete anche brave nel vostro lavoro, magari siete persino meglio dei vostri colleghi maschi, ma volete mettere la soddisfazione che provereste a fare le mogli full-time. E poi, non illudetevi di trovar marito sul posto di lavoro, certi posti sono pieni di lupi cattivi, meglio restarvene a casina ché questo è un film, nella vita reale i dottorini generosi pronti a prendersi una giovane non più illibata mica crescono sugli alberi… e a proposito, se il marito ce l’avete non fate troppo le schizzinose, che poi se divorziate non vi rispetta più nessuno. Che dire di più? Se avete un debole per i melò di certo Donne in cerca d’amore ha tutte le carte in regola per piacervi. Devo ammettere che in fondo è piaciuto anche a me, del resto film come questo mostrando come era complicato esser donna nei patinati anni ’50 fanno apprezzare tanto, tanto, tanto, tanto, tanto il movimento femminista. Ragazze Innamorate – USA 1936 Diretto da: Edward H. Griffith. Con: Constance Bennett; Janet Gaynor; Loretta Young; Don Ameche; Tyrone Power; Paul Lukas. Lettera da una sconosciuta – USA 1948 Diretto da: Max Ophuls- Con: Joan Fontaine; Louis Jourdan. Come sposare un milionario – USA 1953 Diretto da: Jean Negulesco. Con: Lauren Bacall; Marilyn Monroe; Betty Grable. L’appartamento – USA 1960 Diretto da: Billy Wilder. Con: Jack Lemmon; Shirley MacLaine; Fred MacMurray. La Valle delle Bambole – USA 1967 Diretto da: Mark Robson. Con: Barbara Parkins; Patty Duke; Sharon Tate; Susan Hayward. Il diavolo veste Prada – USA 2006 Diretto da: David Frankel. Con: Anne Hataway; Meryl Streep; Emily Blunt; Stanley Tucci; Simon Baker. …e una serie TV: Mad Men – USA 2007-2015 Creata da: Matthew Weiner. 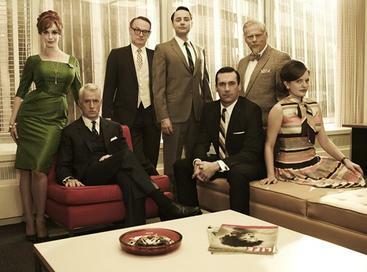 Con: John Ham; Elizabeth Moss; Vincent Kartheiser; Christina Hendricks; January Jones; John Slattery…. 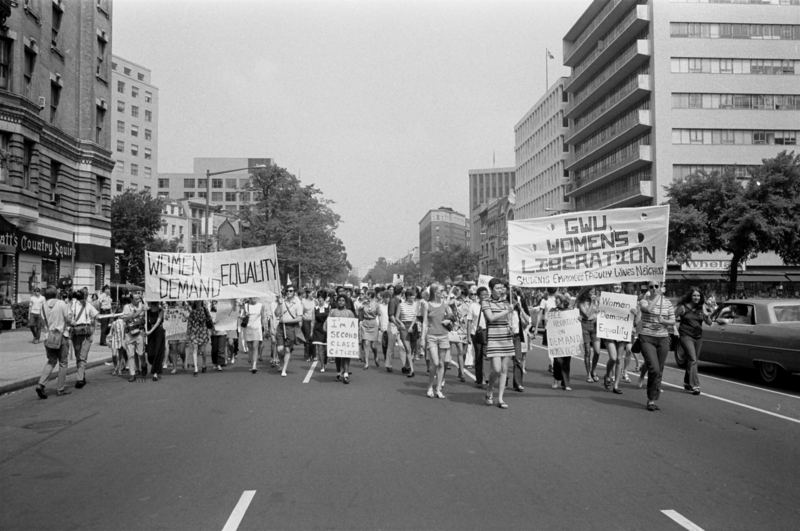 Posted by Ella V on 15/03/2015 in Cinema, Movies and tagged Diane Baker, Feminist movement, Hope Lange, Joan Crawford, Louis Jourdan, Melò, Suzy Parker, women. Reblogged this on What Movie Need to Watch?.